Pink letters = pink animal. Sometimes a little pink animal is just what you need. You know, after shoveling through three inches of sleet. 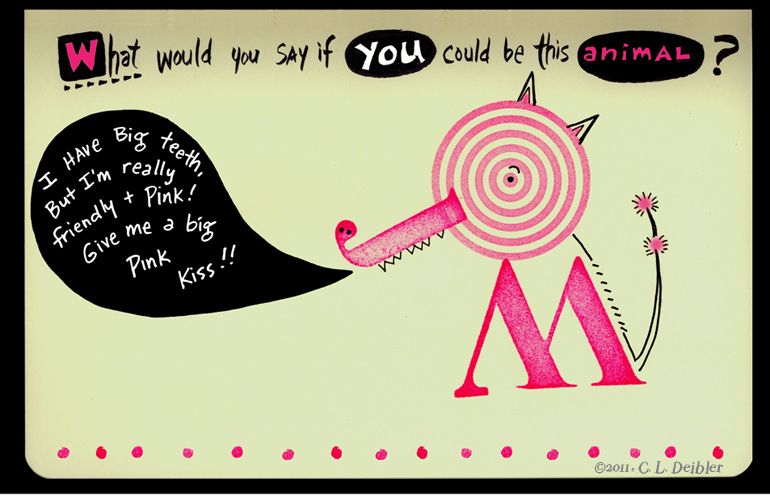 A big bad wolf... with a pink dual-puffy tail!